With Criticwire headmaster Matt Singer on vacation this week, assistant editor Steve Greene will be contributing additional posts to the blog over the next few days. Last week, when we posted our annual report on the highest-ranked movies of the year so far, we continued our practice of separating English language films, foreign language films, and documentaries. As the various lists were coming together, one thing that repeatedly stood out was that the documentaries list contained far more higher grades from critics listed in our Criticwire network than its narrative counterparts. After initially chalking it up to nothing more than a great year for documentary storytelling, I went back and looked at the 2011 mid-year list and noticed a similar dominance among the docs, with Steve James’ “The Interrupters” being the most acclaimed film of them all. In 2010, a foreign film, Maren Ade’s “Everyone Else,” led the pack, but half of the dozen films to have an A- on all those combined lists were documentaries. If three years makes a trend, then what is it about documentaries that lend themselves to higher grades? Here are some possible theories. When I look through scores of reviews submitted by Criticwire members every week, one of the biggest reasons I see a narrative film’s average grade drop from an A- to a B is that a particular character’s actions are deemed “unbelievable” or “nonsensical” by certain critics whose negative reviews diverge from the critical consensus. Unless the film’s style blatantly establishes an air of camp, satire or meta-behavior, the degree to which a particular critic finds the plot to be reasonably feasible often becomes a focal point for the grading rubric. But if a documentary involves a person or group of people experiencing a sudden, inexplicable change in motivation or personality, it becomes a spectacular outlier based on the assumption that it all really happened. One of the reasons that “Exit Through the Gift Shop” made the top-of-2010 lists, both in June and December, was that it prompted many moviegoers to challenge the assumption that documentaries were inherently truthful and beyond that same level of audience accountability. 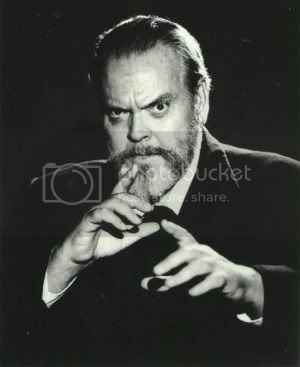 And Banksy was likely drawing heavy influence from Orson Welles’ “F for Fake,” a film that gave us many of those same challenges over three decades earlier (in addition to Welles’ marvelous beard, a comparable artistic accomplishment). As long as a documentary filmmaker keeps a safe distance from the action or re-telling of a story, the element of having to rationalize any particular part of the proceedings suddenly gives way to a simple explanation: the unpredictability of human behavior. Otherwise, as the men behind “Catfish” will tell you, this rule no longer applies. This is a phenomenon that Roger Ebert touched on during the discussion of the recent Sight & Sound vote: The idea that critics will elevate a film to a higher status than normal in order to help make the world aware of its existence. “Apart from any other motive for putting a movie title on a list like this, there is always the motive of propaganda: Critics add a title hoping to draw attention to it, and encourage others to see it,” Ebert wrote. While Criticwire aggregation isn’t quite equatable to the kind of list-making Ebert is talking about, the underlying motivational factor is still there. Whether sent to the corner of a weeknight HBO schedule or the sixth out of six options on a megaplex marquee, it’s often difficult for a documentary to permeate the indie consciousness, much less the mainstream. But an A+ or a four-star review will catch some readers’ attentions, regardless of their familiarity with the subject matter or predilection towards something with a household name. If a grade is the critic’s version of a vote, he/she might cast it in favor of something, hoping that it will convince people to give it a try, even if that vote is a notch or two higher than they would have otherwise given it. This isn’t an accusation of critical impropriety, especially if you subscribe to the theory that part of a critic’s job is to help educate and inform the public as much as it is to provide evaluation of artistic endeavors. Of the films on the 2012 Documentary list, only Jafar Panahi and Majtaba Mirtahmas’ “This is Not a Film” received more than a dozen grades. In some ways, this was the motivation behind dividing up the lists into English language, foreign language and documentary (and this year, including a handful of the runners-up for all three). It gives the framework of a category, but it also lets us highlight more of the medium’s highest performers, especially the ones that are still forming a consensus. Read on for additional reasons why critics tend to favor documentaries. 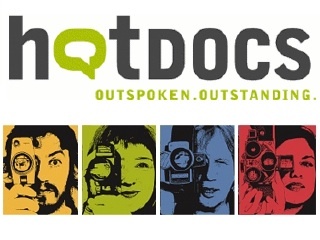 Unless a critic is at HotDocs, SilverDocs, IDFA or another major documentary gathering, the majority of critical output from a particular festival will concentrate on the narrative features. If someone reviews upwards of a dozen narratives at a festival, that’s enough to fashion a makeshift critical bell-curve. What may have seemed like an A- in the opening days of the festival may suddenly become a B in light of the offerings of Days six through 13. If only 10% of the movies that a person sees at a festival are documentaries, there’s a greater chance for less context among that year’s crop, making it easier for a person to regard more of those films as above average. This is one of the reasons why we included the number of grades for each film in last week’s piece: to show which films might be the subject of a generous first wave or might have benefited from being an audience favorite. Not all of these documentaries’ high grades are merely products of their release environment; in fact, it’s likely that none of them are. “The Interrupters” has maintained nearly identical scores among those that have been added in the twelve months since the 2011 mid-year report. But that was with the inclusion of critics who subsequently saw a special one-off screening, a showing during its theatrical run or a DVD in their living room. This is an impossible assertion to justify, especially with a grading system that’s anything less than objective. Are documentaries largely better than narrative? It would be a fool’s errand to say anything definitive about this assertion, although I’m sure there have been many who have put forth a valiant, well-reasoned effort for both sides of the argument. As with many documentaries, the question comes down to this: Where does the truth lie? It’s probably a combination of the reasons listed above.